Are Poor Healthcare and Benefits Options Hurting Your Recruitment Efforts? Home » News & Events » Are Poor Healthcare and Benefits Options Hurting Your Recruitment Efforts? Have you ever thought of employee benefits as a recruiting tool? Small and mid-sized business owners often struggle to attract top talent, yet it is great talent that will really help a business expand and grow. According to a recent study on Glassdoor, the majority of job seekers (63%) will look at benefits first when researching job ads. Similarly, a recent study conducted by Randstad US found that 42% of employees report considering leaving a job due to poor benefits.Benefits matter, and when you are looking to attain and retain top talent, your benefits need to be competitive. Poor benefits and healthcare options will drive away the best people. 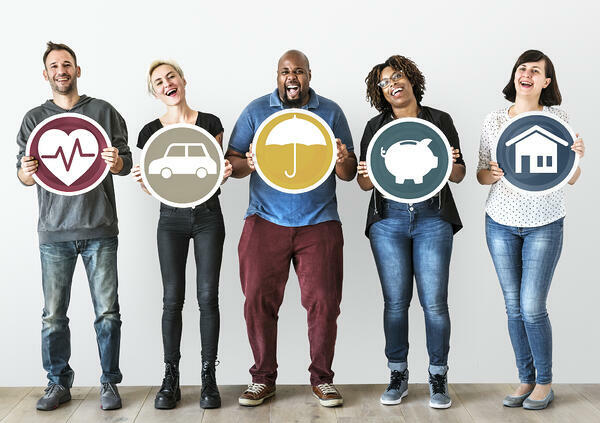 Here is a closer look at the top employee benefits your company can offer, and how to create a benefits package that will appeal to the talent you need and want. Which Benefits Matter Most to Job Seekers? Job seekers have clear priorities in the benefits they want to find. According to the Randstad survey, health insurance was the top priority for 75% of workers. This was followed by retirement funds and/or pensions, which was the top priority for 21% of respondents. So, what makes a great healthcare plan that will attract top talent? First, the coverage it offers is a key component. Employees want healthcare coverage with the flexibility to choose from a long list of providers, but they also want dental and vision coverage. The more coverage, the more attractive the plan. The costs of the plan are also important. This includes the premiums the employee is responsible to pay, as well as the out-of-pocket costs, such as copays or deductibles. Low premiums and low deductibles make a plan more appealing. Other factors such as the network of doctors and the lifetime maximums on the plan are also important, but less so than the overall costs and coverage. Choose a plan with high lifetime maximums and a large network of doctors to make the healthcare benefit more appealing. Today’s employers face the challenge of creating benefits packages that fit their budget and also appeal to top talent. These tips will help you find the right balance to create a package that will work in attracting the right employees. The first step is to evaluate hiring trends and research to see what employees are looking for. This can also include surveying current team members to see what they like and do not like about the benefits you are currently offering. Listening to your existing talent, and making changes based on what they report, is the foundation for building your plan. Once you have completed your research, make a benefits package based on your findings. This may include adding features to your current plan to draw in more talent. Healthcare benefits often come with flexible spending accounts (FSAs), and this is one way to make the plan more appealing. Also, adding life insurance and a disability benefit to the overall healthcare and insurance package will draw in more top talent. Often, budgets are the main factor that prevent an employer from offering an exceptional health benefits package. Partnering with a professional employer organization (PEO) like PRemployer can help employers find competitive rates on employee benefits, so they can create a package that helps them recruit people more effectively. With the help of a PEO, you can get access to medical, dental and vision coverage, as well as life and disability benefits, at a lower rate than you can get on your own. Your employee benefits, especially healthcare and retirement plans, are a key aspect of recruiting top talent. Use the tips above to help you not only attract talent, but retain them, using a well-rounded benefits package.